Louise Bourgeois paved the way for women artists and sculptors throughout her long career. She began studying art after the death of her mother in 1932. She began producing large-scale sculptures shortly after moving to New York in the late 1930s. After decades of work, Bourgeois gained recognition when, in 1982 at the age of 70, she received a retrospective at MoMA. Following the exhibition, institutions around the world acquired Bourgeois’s works and she received international acclaim for the last 30 years of her career. 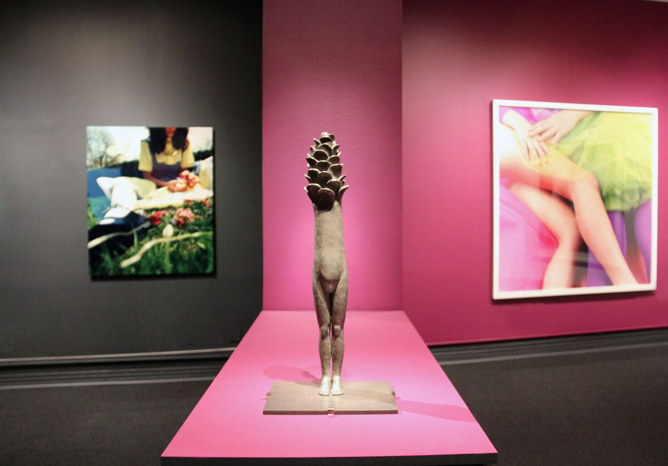 Revival features three sculptures by Bourgeois, situated in the exhibition’s three central themes of the body, the child, and other creatures. Topiary (2006) represents a pre-pubescent female figure with a seed head. Another sculpture, Clutching Hands (1990), depicts a balloon-like pair of carved hands atop a marble block. 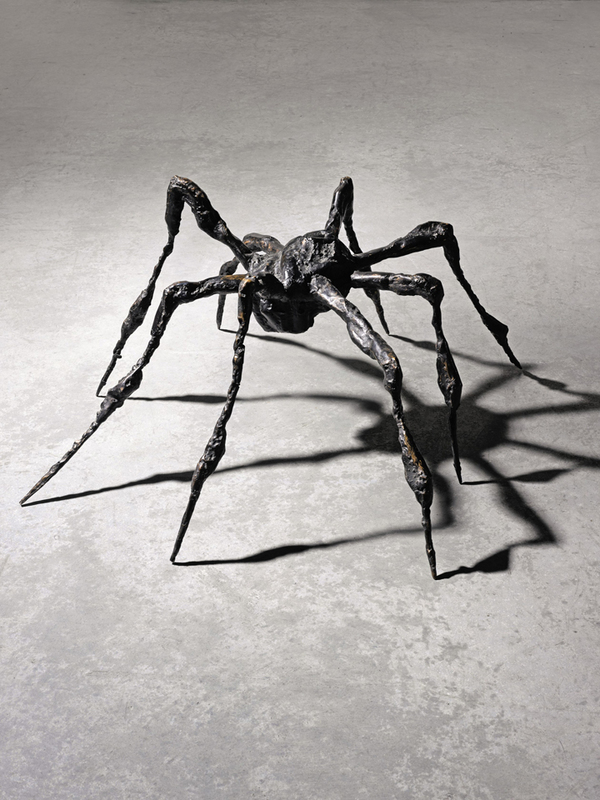 The exhibition also includes one of her signature spider forms, Spider III (1995), recently acquired by NMWA. The resurgence of the spider in Bourgeois’s sculptures from the mid-1990s, including Spider III, is evidence of the lasting importance this creature had in the artist’s imagination. Bourgeois associated the spider with protectiveness and frequently remarked that her mother, Joséphine, shared spiders’ admirable attributes of patience, industriousness and cleverness. Although Bourgeois saw a nurturing quality in spiders, she understood that they can evoke a fearful response in others. The cast-bronze medium allowed her to create a rough surface texture that gives this creature a dynamic quality, capturing spiders’ characteristic skittering motion. This entry was posted in Artist Spotlight, NMWA Exhibitions and tagged Louise Bourgeois, Revival by Women in the Arts. Bookmark the permalink.